Year 11 student, Beth Cutler, wants to be an engineer. However, when she’s not studying Robotics or getting stuck into her Maths homework, her passion is choral singing. She’s currently a member of the Auckland Girl’s Choir and her supportive parents make the trip from Howick to Remuera on a regular basis so that she can attend rehearsals. Two years ago Beth auditioned for the New Zealand Secondary Students Choir. “It seemed like the logical next step”, she says. The choir, which is notoriously difficult to get into, only accepts a few members every two years. On this occasion, Beth was not successful. A lot of people would have given up at this point, but not her. She decided to take singing lessons to increase her chances of gaining entry when the next round of auditions came around. Those auditions took place across New Zealand over 10 days in September. 250 hopefuls auditioned, but only 56 were accepted. One of these was Beth, who is, understandably, delighted. “I’m really looking forward to going to rehearsals in different parts of the country and getting to know the other people in the choir” she said. Rehearsals take place during the first week of each school holiday, which is quite a commitment for any young person. 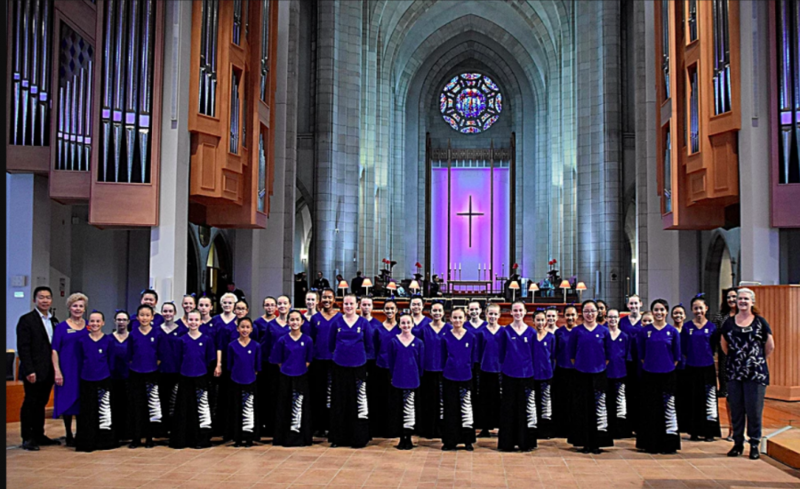 The location changes between Auckland , Christchurch , Wellington and Dunedin, and visiting choristers are billeted with the families of local members. It’s a great opportunity to make new friends and build relationships with like-minded people that last into adulthood. Beth is hopefully that it might be Europe this time, but she would be delighted to travel anywhere doing what she loves. For more information about the New Zealand Secondary Students Choir click here.